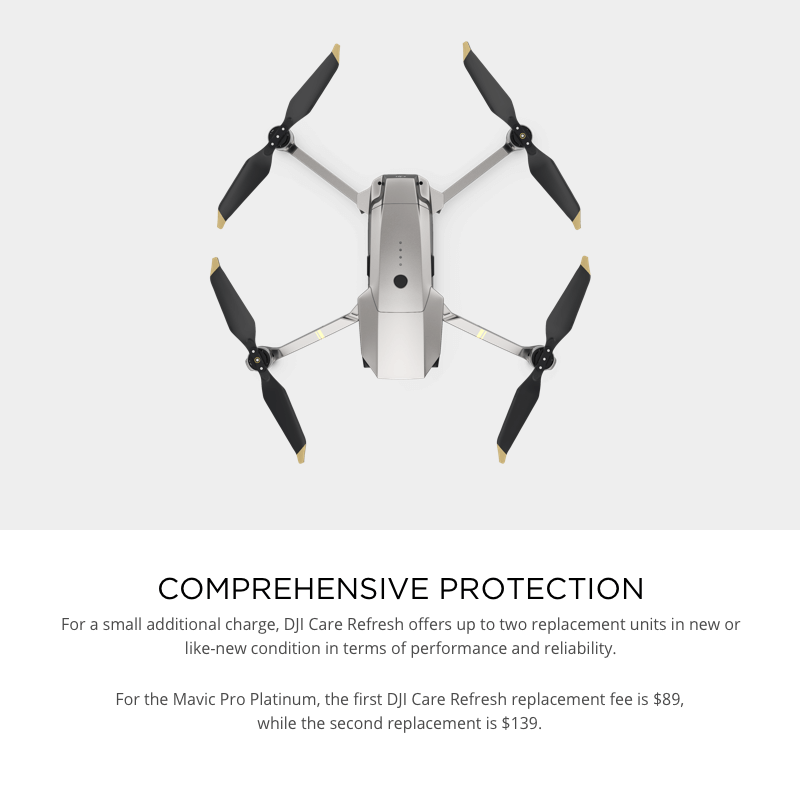 DJI Care Refresh for the Mavic Pro Platinum provides comprehensive accidental protection with up to two replacement units for a small additional charge in one year. 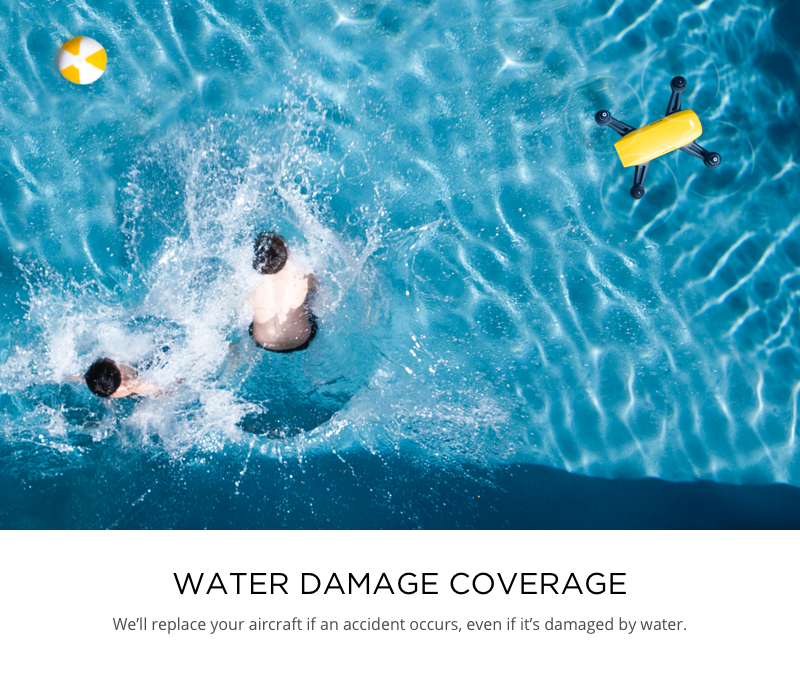 The coverage plan covers accidents such as water damage and collisions which provides you peace of mind every time you fly. 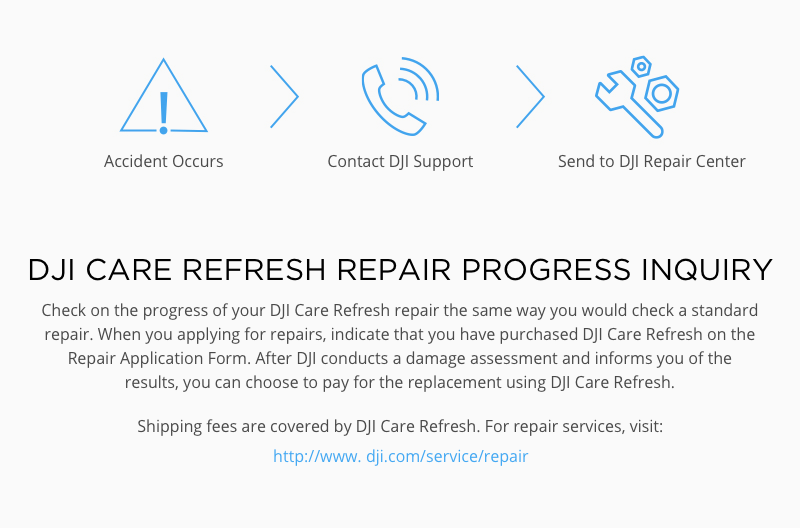 How does Care Refresh work? First of all, Care Refresh must be added within 48 hours of activating the aircraft. 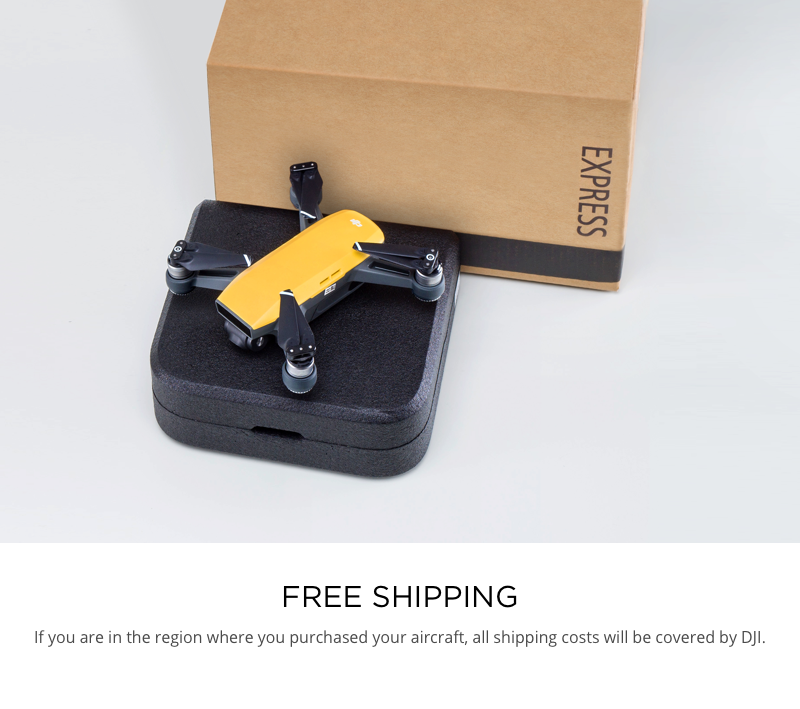 Purchasing the coverage plan here will cover your aircraft and give you the ability to use your replacements should an incident occur. 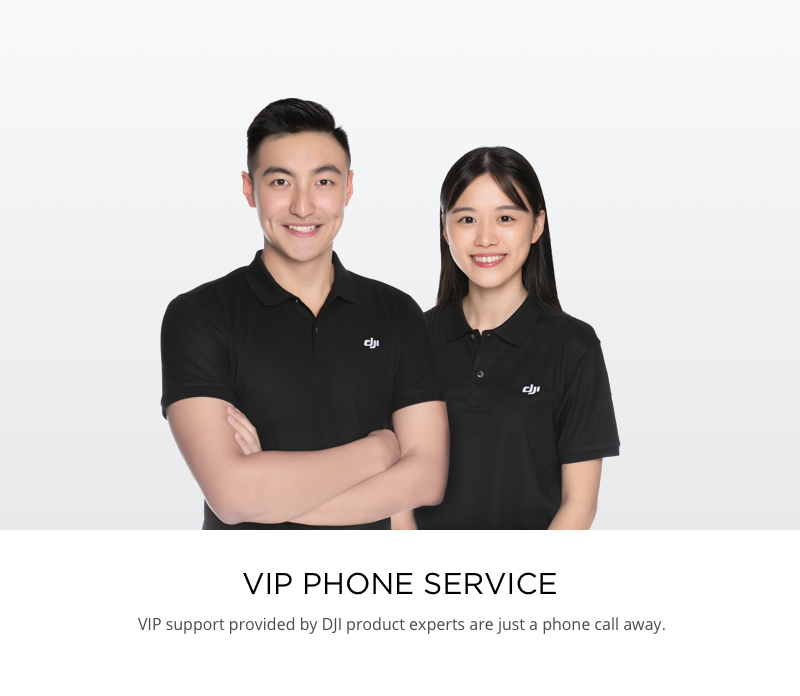 On the first incident, you will pay your first time replacement fee (please see fee schedule for this aircraft above) and on the second incident you will pay your second time replacement fee. 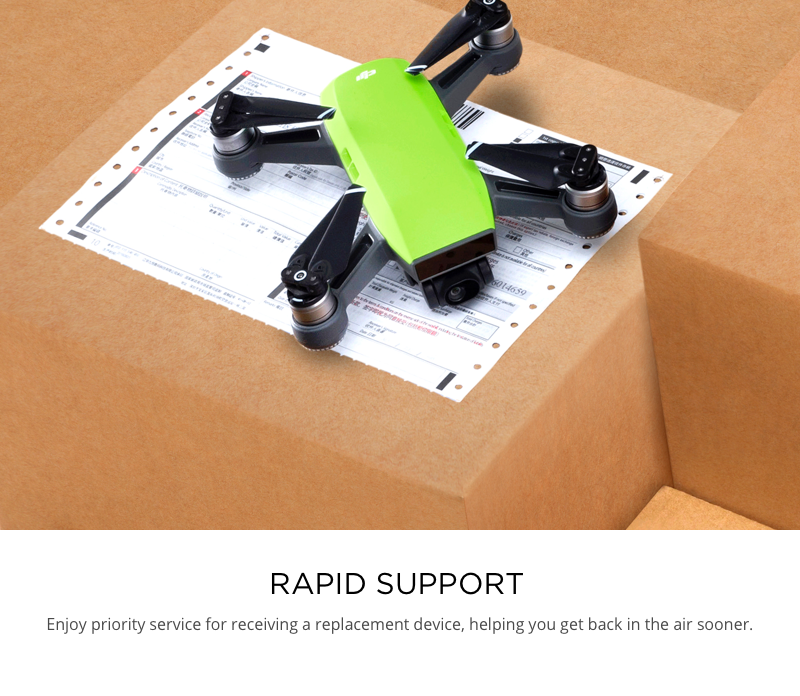 Each time you choose to use one of your replacements you'll receive a replacement unit that is new or equivalent to new in performance and reliability.